Episode Three of my podcast Making Things—yeah did you know I have a podcast about making things, called Making Things?—was recorded while I was making my latest side project. This post covers it in some more but possibly overlapping details. At WWDC this year as we were waiting to be let into the keynote, through the door I could see this huge—absolutely monstrous—screen with a wall of apps on it. This was the preshow artwork, this massive screen slowly scrolling through famous apps, it was a game to spot the ones you recognised or even your own. Ever since WWDC this year I wanted to build my own one that could be used at conferences or meetups. Last week I did just that, it is available at wallofapps.com. The webpage is a series of CSS grids inside another CSS grid. 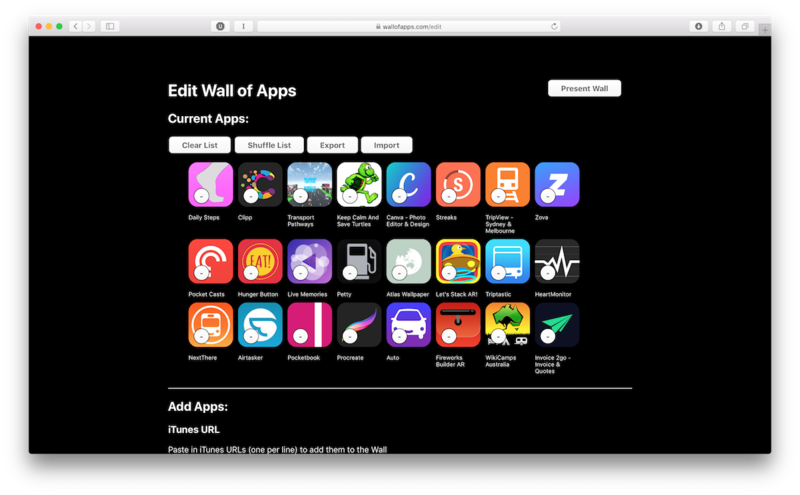 Each column—of seven apps as per the WWDC wall—is a single grid, and then all of those together make another grid. These are repeated out until the whole wall fills the screen (if there aren’t many apps in the wall, or it is very very wide). 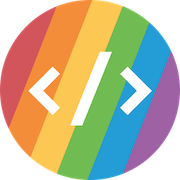 All the code is open on GitHub. 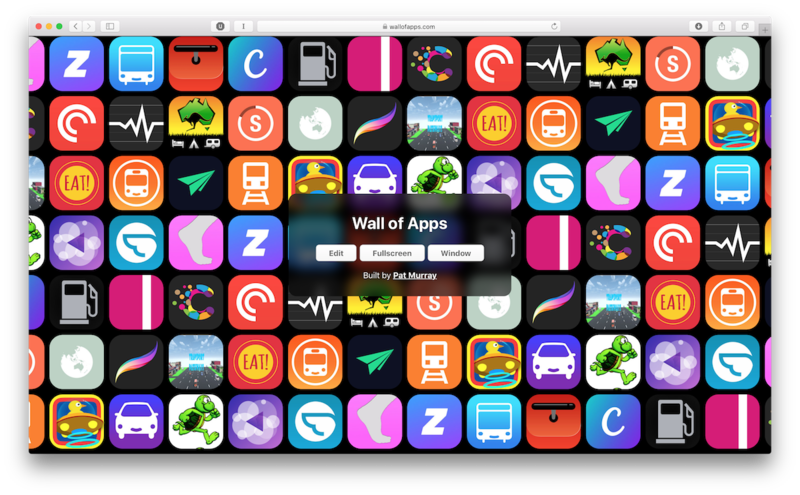 The website relies heavily on the LocalStorage APIs to keep the list of apps for the wall, and features fullscreen mode—along with detecting when fullscreen to hide UI elements—which are all APIs I’ve never used before.